In order to keep up with contemporary trends in homes, it might be time to do a bit of renovating. Luckily, Advance Companies is here to help you. We want you to love your home and we can make it easy for you to make some minor adjustments that will have you loving it even more than when you purchased it. 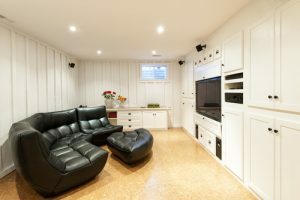 Flooring: What’s the Big Deal? Tired of the same old carpet and tile that you’ve dealt with for as long as you can remember? Do you feel like it’s time for an upgrade? 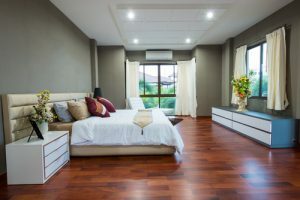 At Advance Companies, we will take care of the sometimes difficult process of redoing your floors, leaving you able to focus on making your home as beautiful as you’ve dreamed. Taking into account your family’s needs and budget, here are some contemporary flooring ideas to help spruce up your home. If you’re looking for durability and style then look no further than stone flooring. Not only does stone last the test of time, but it adds a contemporary and classic style to your home. We recommend: using stone flooring in your kitchen. It provides easier clean up for spills, and is easy to match with counter tops and appliances. Airy and bright, bamboo flooring provides a very relaxed and minimalist vibe to any living space. Bamboo is soft on feet and holds in heat. 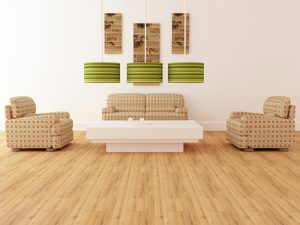 We recommend: using bamboo flooring in your living room/office. Bamboo is easy to pair with bright-colored walls or furniture. The simple look of bamboo makes for a great office floor in which you can really personalize your space (great for rolling chairs, too!). Fire and insect-resistant, cork is an excellent alternative to carpet and wood flooring. Don’t forget if you purchase cork flooring that you will also need a moisture barrier! We recommend: using cork flooring in any media or social area. Cork provides excellent acoustics, and is a simple style which you can pair with any type of furniture. Looking for something a little more timeless? Choosing a dark wood laminate like Hickory Cocoa provides a warm and relaxed look to any space. This classic style adds a lot of resale value to your home. We recommend: darker wood flooring in your bedroom. The cool-to-the-touch floor will wake you up each morning, while keeping your room cool in the summer months. 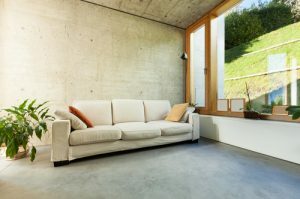 While you might be thinking that concrete flooring is way too industrial for a home, we feel like concrete captures that contemporary 2017 style perfectly. Extremely durable and easy-to-clean, concrete is great for warmer seasons. 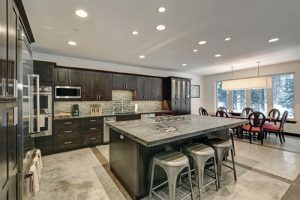 We recommend: using concrete flooring in either the kitchen or the living area. Easily move furniture around as your tastes change, and offset the industrial look with plants and bright furniture. Though we can’t tell you how to customize your home, we are happy to provide all of the necessary services to achieve what you’re after! Check out our flooring page to see how Advance Companies can make your renovation quick and painless, or call us at (763) 572-2000 to get an estimate!